The National Assembly promulgates the Law on Citizen Identification. This Law provides citizen identification, the citizen identification database and the national population database; management and use of citizen’s identity cards (thẻ căn cước công dân); and rights, obligations and responsibilities of related agencies, organizations and individuals. This Law applies to Vietnamese citizens as well as related agencies, organizations and individuals. 1. 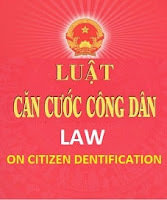 Citizen identification (Căn cước công dân) means basic information about the origin and identity of a citizen in accordance with this Law. 2. Identity means distinctive and stable characteristics of a person’s appearance that distinguish such person from another. 3. Citizen identification archives means a system of dossiers and documents on citizen identification which are managed, classified and arranged in a certain order to serve information search and exploitation. 4. 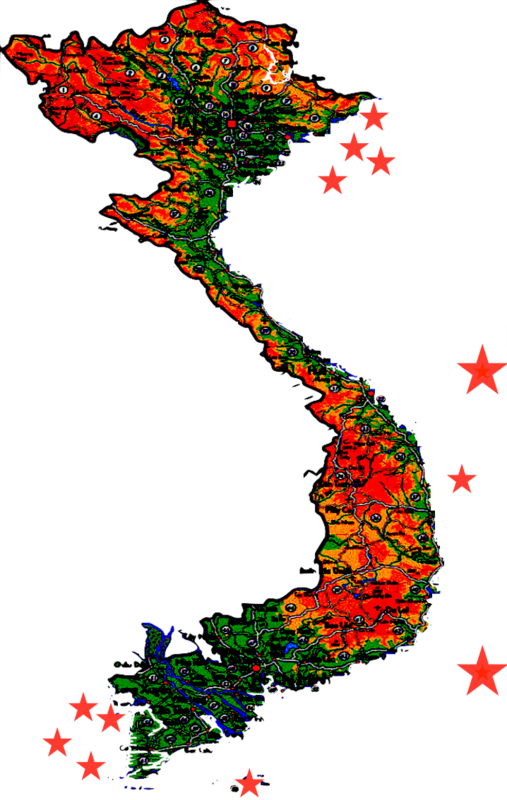 National population database means a collection of basic information about all Vietnamese citizens, which is standardized, digitalized, stored and managed in an information infrastructure to serve state management work and transactions among agencies, organizations and individuals. 5. Citizen identification database means a specialized database collecting information about Vietnamese citizen identification, which is digitalized, stored and managed in an information infrastructure, and constitutes part of the national population database. 6. Specialized database means a collection of information about one or several certain management field(s) of a ministry or sector, which is digitalized, stored and managed in an information infrastructure and connected to the national population database. 7. Information infrastructure of the national population database and citizen identification database means a system of equipment serving the production, collection, processing, storage, transmission and exchange of digital information about population and citizen identification, including telecommunications networks, the Internet, computer networks and databases. 8. Citizen identification management agency means a specialized agency of the People’s Public Security performing the management of citizen identification, the national population database and the citizen identification database. 1. Compliance with the Constitution and law; guarantee of human rights and citizens’ rights. 2. Assurance of publicity and transparency in management and convenience for citizens. 3. Information and documents shall be collected and updated in a full, accurate and prompt manner; managed in a centralized, unified, close and safe manner; and maintained, exploited and used efficiently and archived permanently. dd/ To lodge complaints or denunciations about or initiate lawsuits against violations of the law on citizen identification, the national population database and the citizen identification database in accordance with law. e/ To return their citizen’s identity cards to competent agencies in case of renewal, revocation or temporary seizure of such cards as prescribed in Articles 23 and 28 of this Law. 3. A person who suffers any mental or other diseases which deprive him/her of the ability to perceive and control his/her acts shall, through his/her lawful representative, exercise rights and perform obligations prescribed in this Article. 1. To accurately collect and update citizen’s information. 2. To promptly modify citizen’s information when having grounds to believe that such information is inaccurate or changed. 3. To post up and guide administrative procedures on citizen identification, the national population database and the citizen identification database related to agencies, organizations and individuals in accordance with this Law. 4. To ensure information safety and confidentiality in the national population database and the citizen identification database. 5. To fully, promptly and accurately provide information and documents about citizens upon request of agencies, organizations or individuals in accordance with law. 6. To grant, renew and re-grant citizen’s identity cards in accordance with this Law. 7. To settle complaints and denunciations and handle violations in accordance with law. 1. Hindering the implementation of this Law. 2. Granting, renewing or re-granting citizen’s identity cards in violation of law. 3. Causing harassment or troubles when settling procedures about citizen identification, the national population database and the citizen identification database. 4. Falsifying books and dossiers about citizens, the national population database and the citizen identification database; failing to provide or insufficiently or illegally providing information and documents on citizen identification, the national population database and the citizen identification database; abusing citizen’s information specified in this Law to cause damage to agencies, organizations or individuals. 5. Revealing information secrets in the national population database and the citizen identification database. 6. Collecting and using charges and fees in violation of law. 7. Forging, modifying and falsifying contents of citizen’s identity cards; appropriating or illegally using citizen’s identity cards of other persons; renting, leasing, boưowing, lending, mortgaging, receiving as mortgage or destroying citizen’s identity cards; or using forged citizen’s identity cards. 8. Illegally accessing, modifying, deleting, canceling or dispersing information in the national population database and the citizen identification database. 9. Revoking or temporarily seizing citizen’s identity cards in violation of law. 1. The national population database shall be managed in a centralized and unified manner and established up to standards and technical regulations on information technology and economic-technical norms. 2. Assurance of safety and convenience for the collection, update, exploitation and use of information. 3. Assurance of connection to specialized databases. 4. Assurance of the right of agencies, organizations and individuals to exploit information in accordance with law. p/ Date of death or missing. 2. Citizen’s information shall be collected and updated in the national population database from citizen identification archives and the citizen identification database, residence database, civil status database and other specialized databases through standardization of available population data. In case information and documents specified in Clause 1 of this Article are not yet available or are insufficient, they shall be collected from citizens and updated. 1. The national population database is a national asset which shall be protected by the State in accordance with the law on protection of important works related to national security. The national population database is a database for common use and shall be managed by the Ministry of Public Security. c/ Organization and individuals not defined at Points a and b of this Clause that wish to exploit information in the national population database may do so after obtaining the consent of the national population database management agency in accordance with law. 3. Information in the national population database serves as a basis for agencies and organizations to check and reach agreement on citizen’s information. When citizens use their citizen’s identity cards, agencies and organizations may not request them to produce other papers or to provide information already available in the national population database. 1. Specialized databases shall be connected to the national population database in order to update, share, exploit and use citizen’s information specified in Clause 1, Article 9 of this Law. 2. Citizen’s information specified in Clause 1, Article 9 of this Law which is available in specialized databases must be promptly, fully and accurately updated in the national population database. 3. In case citizen’s information in specialized databases or granted papers is inconsistent with information in the national population database, the latter must be used. 4. The connection, update, sharing, exploitation and use of information between the national population database and specialized databases of agencies and organizations must ensure efficiency, safety and compliance with their functions, tasks and powers in accordance with this Law and other relevant laws. 5. The Government shall stipulate the connection, update, sharing, exploitation, modification and use of information, and a roadmap for connection between the national population database and specialized databases. 1. A personal identification number shall be established from the national population database and used for the connection, update, sharing and exploitation of citizen’s information in the national population database and specialized databases. 2. Personal identification numbers shall be uniformly managed nationwide by the Ministry of Public Security; each Vietnamese citizen shall be granted with one number which is not identical to another’s number. 3. The Government shall stipulate the structure of a personal identification number; and the order and procedures for grant of personal identification numbers. c/ Promptly update and inform citizen’s information upon occurrence of any change or inaccuracy. b/ Preserve and keep relevant information and documents confidential; refrain from altering, erasing or damaging documents, and take responsibility for the accuracy and sufficiency of updated information. b/ Check, and take responsibility for, information and documents already updated and stored in the national population database. 1. The citizen identification database shall be established and managed in citizen identification management agencies of the Ministry of Public Security, Public Security Departments of provinces or centrally run cities and Public Security Divisions of rural districts, urban districts, towns or provincial cities and equivalent administrative units. 2. The citizen identification database shall be established ensuring connection to the national population database and satisfying database standards as well as standards and technical regulations on information technology. 3. To comply with regulations and regimes on dossiers, e-transactions and information technology. 4. To fully, accurately and promptly collect and update information; to ensure stable operation, safety and security. i/ Date on which a citizen notifies the loss of his/her people’s identity card or citizen’s identity card. 2. In case the information specified in Clause 1 of this Article is not yet available or is insufficient in the national population database, the citizen identification database and archives and residence database, citizens shall supplement information upon carrying out procedures for the grant, renewal or re-grant of citizen’s identity cards. c/ Promptly notify information and documents on identification upon occuưence of any change or inaccuracy. 2. Persons managing citizen identification and the citizen identification database shall comply with Article 13 of this Law. 1. Agencies, organizations and individuals may, within the ambit of their tasks and powers, provide and exchange information and documents for/with the citizen identification database. The access to the citizen identification database or study of dossiers and documents in the citizen identification archives must be approved by heads of citizen identification management agencies. 2. The Minister of Public Security shall stipulate the provision and exchange of information and documents from the citizen identification database for agencies, organizations and individuals. a/ On the front side of a card, there are the national emblem of the Socialist Republic of Vietnam; the words “Cong hoa xa hoi chu nghia Viet Nam, Doc lap - Tu do - Hanh phuc” (The Socialist Republic of Vietnam, Independence - Freedom - Happiness); the words “Can cuoc cong dan” (Citizen identification); photo, citizen’s identity card number, family name, middle name and first name, birthdate, gender, nationality, native place, place of permanent residence; and expiry date. b/ On the back side of a card, there is an encoded place for information storage; fingerprints, characteristics for identification of the card holder; date of card issuance; family name, middle name, first name, title and signature of the card issuer, and a seal bearing the national emblem of the card-issuing agency. 2. The Minister of Public Security shall specify the specifications, other languages, form, size and material of citizen’s identity cards. 1. 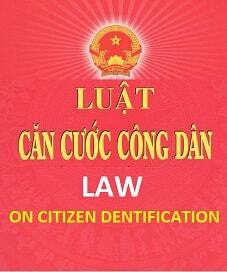 Vietnamese citizens aged full 14 years or older are eligible for grant of citizen’s' identity cards. 2. The citizen’s identity card number is the personal identification number. 1. Citizen’s identity card is a personal paper of a Vietnamese citizen which proves citizen identification of the card holder for conducting transactions in the Vietnamese territory. 3. Competent agencies, organizations and individuals may request a citizen to produce his/her citizen’s identity cards for checking identification and information specified in Article 18 of this Law; use personal identification numbers in citizen’s identity cards for checking information about the card holders in the national population database and specialized databases in accordance with law. When a citizen produces his/her citizen’s identity card at the request of a competent agency, organization or individual, this agency, organization or individual may not request the citizen to produce another paper to prove the information specified in Clauses 1 and 3 of this Article. 4. The State shall protect legitimate rights and interests of holders of citizen’s identity cards in accordance with law. 1. A citizen’s identity card must be renewed when a citizen reaches full 25 years, full 40 years and full 60 years. 2. Citizen’s identity cards which are granted, renewed or re-granted within 2 years before a citizen reaches the age specified in Clause 1 of this Article remain to be valid until he/she reaches the subsequent age eligible for card renewal. b/ A person assigned to collect and update information and documents specified in Clause 2, Article 13 of this Law checks and compares them with information in the national population database in order to accurately identify the to-be-holder of a citizen’s identity card; a citizen who has no information in the national population database shall produce lawful papers proving information to be written in the declaration according to a set form. dd/ Citizen’s identity cards shall be handed to citizens within the time limit and at the place stated in the receipt under Article 26 of this Law; in case a citizen wishes to receive his/ her card at another place, the citizen identification management agency shall hand the card to him/her at the place requested by the citizen who shall pay mail charges. 2. For a person who suffers any mental or other diseases which deprive him/her of the ability to perceive and control his/her acts, his/her lawful representative shall appear together with him/her to carry out the procedures specified in Clause 1 of this Article. e/ Upon request of the card holder. b/ The card holder has Vietnamese nationality restored under the Law on Vietnamese Nationality. 1. The procedures specified in Clause 1, Article 22 of this Law. 2. In case of renewal of a citizen’s identity card as a result of change of information specified at Point c, d or dd, Clause 1, Article 23 of this Law while such change has not yet been updated in the national population database, the citizen shall submit a copy of the competent agency’s document proving the change. 3. Used citizen’s identity cards shall be revoked for the cases specified in Clause 1, Article 23 of this Law. 4. Based on the roadmap for administrative reform, the Minister of Public Security shall stipulate the shortening of the time limit for grant, renewal and re-grant of citizen’s identity cards. 4. When necessary, competent citizen identification management agencies shall carry out procedures for the grant of citizen’s identity cards at communes, wards, townships, agencies, units or citizens’ places of residence. The head of the citizen identification management agency of the Ministry of Public Security may grant, renew and re-grant citizen’s identity cards. 1. A citizen’s identity card shall be revoked in case of deprivation or renunciation of Vietnamese nationality or annulment of the decision on naturalization in Vietnam. b/ A person being in custody or temporary detention, or serving an imprisonment sentence. 3. In the period of temporary seizure of his/her citizen’s identity card, a citizen may be allowed by the card-seizing agency to use this card for conducting transactions in accordance with law. Upon the expiration of the custody or temporary detention period, or after having served the imprisonment sentence or decision to send him/her to the reformatory, compulsory educational institution or compulsory detoxication establishment, a citizen may have his/her citizen’s identity card returned. b/ Agencies executing custody or temporary detention warrants, agencies executing imprisonment sentences or decisions to send citizens to reformatories, compulsory educational institutions or compulsory detoxication establishments may temporarily seize citizen’s identity cards in the cases specified in Clause 2 of this Article. 1. Information infrastructure of the national population database and the citizen identification database shall be developed ensuring the quality, synchrony, accuracy, adequacy and timeliness; and built and managed in a centralized and unified manner from central to local levels. 2. The State shall ensure information infrastructure of the national population database and the citizen identification database to meet the requirements for national defense and security and socio-economic development. 1. Persons managing citizen identification, the national population database and the citizen identification database include managers; persons assigned to collect, update, store information and documents in the national population database and the citizen identification database; and persons carrying out procedures for the grant, renewal and re-grant of citizen’s identity cards. 2. Persons managing citizen identification, the national population database and the citizen identification database shall be provided with professional training as suitable to their assigned tasks and vested powers. Article 31. Assurance of funds and physical foundations for management of citizen identification, the national population database and the citizen identification database. 1. The State shall ensure budget and physical foundations for the management of citizen identification, the national population database and the citizen identification database. 2. The State shall prioritize investment in infrastructure, human resources and technology for the establishment and management of the national population database. 3. The State shall encourage domestic and foreign organizations and individuals to finance and support the establishment and management of the national population database and the citizen identification database. 1. When exploiting or using information in the national population database, agencies, organizations and individuals shall pay charges in accordance with the law on charges and fees, except the cases specified at Points a and b, Clause 2, Article 10 of this Law. 2. Citizens are not required to pay fees for the grant of citizen’s identity cards under Article 19 of this Law. a/ Renewal of citizen’s identity cards under Article 21 of this Law. b/ There is incorrect information in citizen’s identity cards by fault of the citizen identification management agency. 4. The Ministry of Finance shall specify fee rates and cases eligible for exemption or reduction of fees for renewal and re-grant of citizen’s identity cards. 4. The national population database and the citizen identification database shall be stored in servers with the application of measures to prevent illegal accession through a security system of the database administration system and network operating system. 5. The Government shall stipulate the back up and restoration of national citizen identification and population data. 1. The Government shall perform the unified state management of citizen identification, the national population database and the citizen identification database. 2. The Ministry of Public Security shall take responsibility before the Government for performing the state management of citizen identification, the national population database and the citizen identification database. 1. To promulgate, jointly promulgate according to its competence or submit to competent agencies for promulgation legal documents on citizen identification, the national population database and the citizen identification database. 2. To direct and organize the implementation of legal documents on citizen identification, the national population database and the citizen identification database; to organize dissemination and education of the law on citizen identification, the national population database and the citizen identification database. 3. To suspend or annul according to its competence or propose competent authorities to annul agencies’ or organizations’ regulations on management of citizen identification, the national population database and the citizen identification database in violation of this Law. 5. To manage the national population database and the citizen identification database; to provide professional direction and guidance on management of citizen identification, the national population database and the citizen identification database. 6. To detail procedures and order for the grant, renewal and re-grant of citizen’s identity cards; to issue forms for citizen identification management; to prescribe the management of citizen identification archives. 7. To organize apparatuses, provide means and train officers engaged in management of citizen identification, the national population database and the citizen identification database; to organize preliminary and final reviews and scientific research on management of citizen identification, the national population database and the citizen identification database. 8. To make state statistics of citizen identification, the national population database and the citizen identification database. 9. To examine, inspect, settle complains and denunciations, and handle violations related to management of citizen identification, the national population database and the citizen identification database in accordance with law. 10. To implement international cooperation on citizen identification, the national population database and the citizen identification database. b/ Coordinate with the Ministry of Public Security and provincial-level People’s Committees in performing the state management of citizen identification and the national population database. 2. The Ministry of Justice shall organize the implementation and direct civil status registration agencies to provide and update citizens’ civil status information for the national population database. 3. The Ministry of Information and Communications shall assume the prime responsibility for, and coordinate with related ministries and sectors in, formulating relevant information technology mechanisms and policies on the national population database. 4. The Ministry of Finance shall assume the prime responsibility for, and coordinate with the Ministry of Public Security in, allocating regular funds for operation of the national population database and the citizen identification database; and funds for the grant, renewal and re-grant of citizen’s identity cards; specify charge payers, charge rates and the management and use of charges for exploitation and use of information in the national population database. 5. The Ministry of Planning and Investment shall assume the prime responsibility for, and coordinate with the Ministry of Public Security, the Ministry of Finance and the Ministry of Information and Communications in, allocating state budget funds for the establishment and operation maintenance of the national population database and the citizen identification database, securing the grant, renewal and re-grant of citizen’s identity cards. 1. To implement, or organize the implementation of, legal documents on citizen identification, the national population database and the citizen identification database in their localities. 2. To organize dissemination and education of the law on citizen identification, the national population database and the citizen identification database. 3. To examine, inspect, settle complains and denunciations, and handle violations of the law on citizen identification, the national population database and the citizen identification database in accordance with law. 1. This Law takes effect on January 1, 2016. 2. People’s identity cards granted before the effective date of this Law remain valid till their expiry date; and shall be renewed into citizen’s identity cards upon request of citizens. 3. Legally valid papers already issued that use information on people’s identity cards remain valid. The issued forms for which the use of information on people’s identity cards is required may be further used through December 31, 2019. 4. For localities having not yet satisfied the conditions on information infrastructure, technical and physical foundations and human resources for the management of citizen identification, the national population database and the citizen identification database under this Law, citizen management work must still comply with regulations issued before the effective date of this Law; and must comply with this Law no later than January 1, 2020. 5. The Government shall detail the implementation of this Law in the transitional period from the effective date of this Law through December 31, 2019. The Government and competent agencies shall detail the articles and clauses in this Law as assigned. This Law was passed on November 20, 2014, by the XIIIth National Assembly of the Socialist Republic of Vietnam at its 8th session.